Galaxy clusters are the largest structures in the Universe, reaching sizes of 10 million light years. They contain hundreds or thousands of galaxies, which is the fact that gave them their name. Galaxy clusters are still growing, being sites where we can observe active cosmic structure formation. Furthermore, they are unique cosmic plasma laboratories because they are filled with the intra-cluster medium. This plasma is roughly a few million degrees hot, and constitutes the bulk of the “normal” matter in clusters. At the E.A. Milne Centre we study the evolution of galaxy clusters and galaxies in them by combining simulations and observations. To this end, we model the growth of clusters and the evolution of cluster galaxies on national and international supercomputers, and obtain data with ground-based and space-based observatories at, for example, X-ray, radio and optical wavelengths. The beauty of physics lies in the universality of the laws of physics. For example, slightly prodding a glass of wine causes the wine to slosh around in the glass – a similar process occurs when a smaller galaxy cluster passes through a bigger one. The larger cluster’s intra-cluster medium is being pushed slightly, causing it to slosh in the cluster’s gravitational potential. Another analogy can be made between the turbulent wake in the air behind a moving car or airplane, and the wake in the intra-cluster medium behind a moving cluster galaxy. 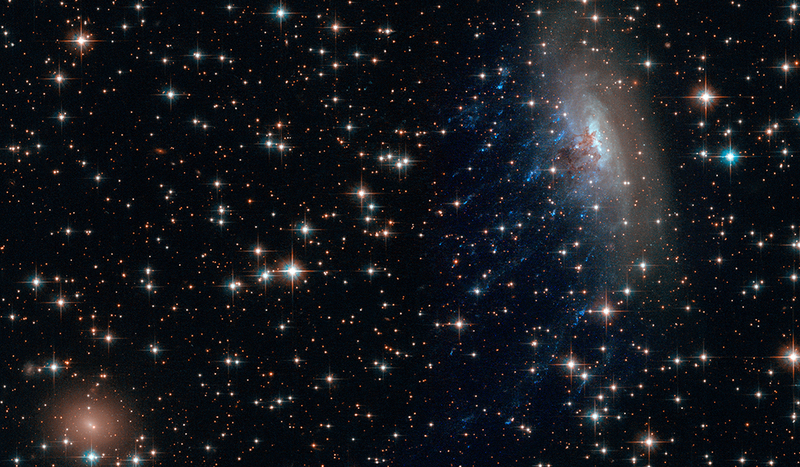 Star formation in cluster galaxies, however, is an astrophysics-specific process. The quality of our simulations and of the observations is now sufficient to compare models and real data of individual clusters and galaxies, allowing us to make precision measurements. These research projects are run as international collaborations.